A court in Alexandria has ordered the detention of leading rights activist Mahienour el-Massry over charges of illegally protesting in June against the Egyptian government's decision to transfer two Red Sea islands to Saudi Arabia. El-Massry was detained in Egypt's second largest city along with activist Moatasim Medhat and both will be held pending their trial for illegal assembly on Dec. 30, the misdemeanor court said. 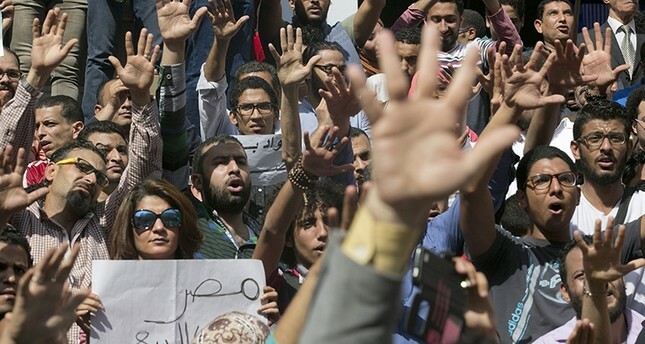 The pair's lawyer, Taher Abo Nasser, said they denied the charges, adding that there was no evidence of a protest taking place. "The decision came as a shock for us but Mahienour is remaining strong and accepting," Abo Nasser said. The plan to cede the islands to Saudi Arabia was announced last year and has become mired in political protest and legal action. Opponents of the plan say Egypt's sovereignty over the islands dates back to 1906, before Saudi Arabia was founded.